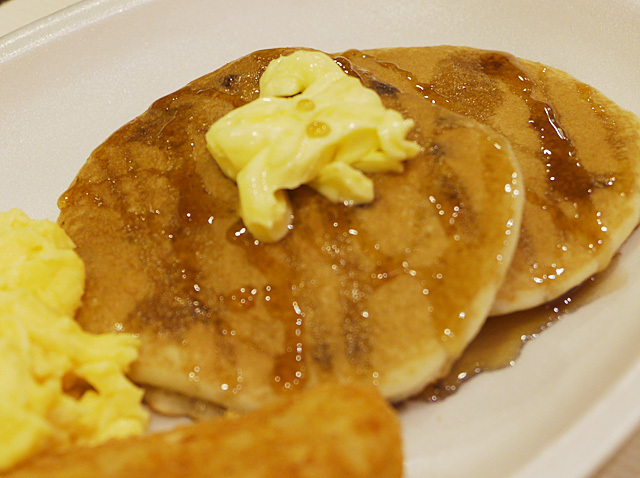 KFC has recently come up with a new breakfast menu creation - the a.m. Blueberry Pancakes! 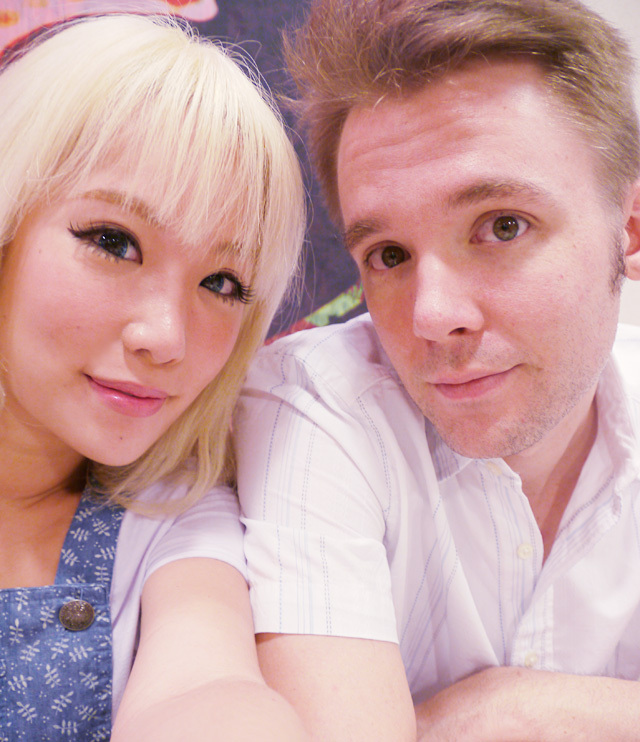 We (meaning Mike and I) were invited to give it a try so we were really quite excited! 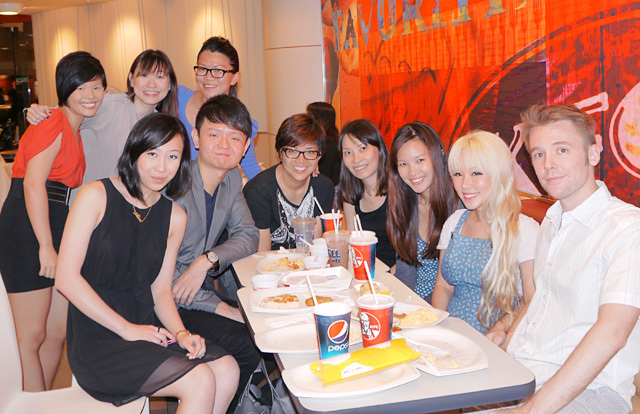 After all free food is always good :P And not to mention I love pancakes! 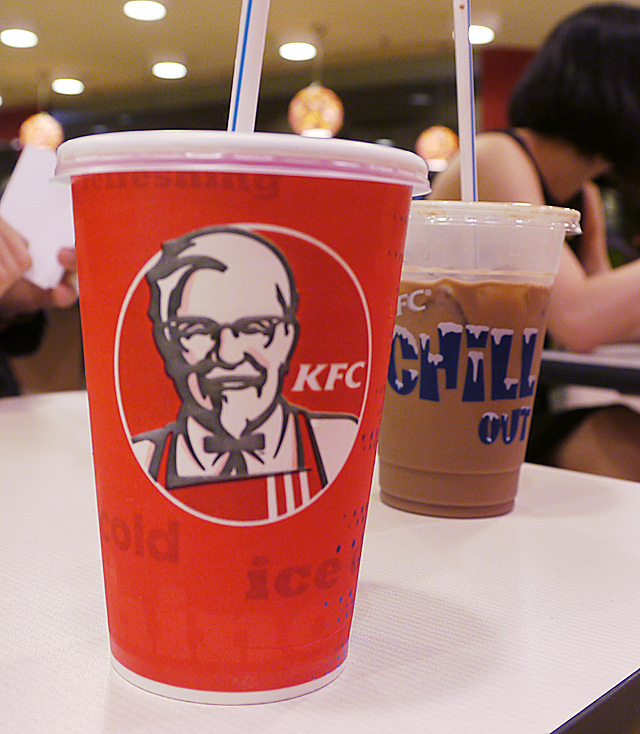 A little section in KFC Suntec City was partitioned off for us. It said private event. 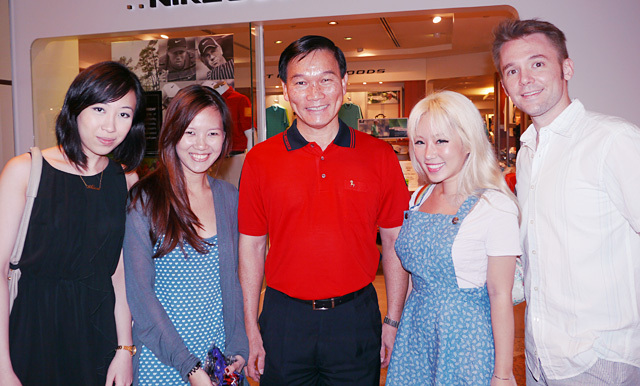 I felt like a kid having a birthday party there! Cutlery and some... are these called condiments? were already on the table. Spot the butter, maple syrup, salt and pepper! Felt like something light so I ordered a Iced tea. Brad on the other hand got milo peng!! Just looking at it makes me thirsty. Can you spot the difference between the two plates? 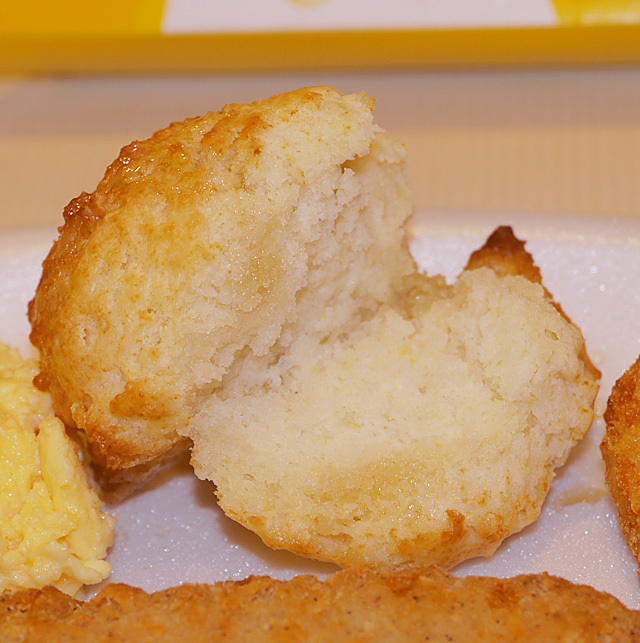 Winning combination of fluffy pancakes, velvety soft scrambled eggs, and a hash brown. Of course, imho no pancakes are complete without a heavy dosage of melty butter!! The pancakes tastes awesome with just butter but maple syrup makes it even better. Actually I just drizzled the syrup to snap a picture. I love maple syrup so much I actually just dip slices of pancake into the syrup and noms it. 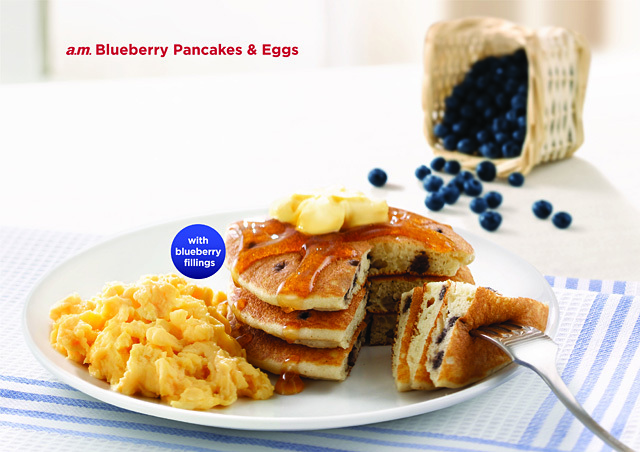 The pancakes are prepared just right and the blueberries make for an extra bonus taste! 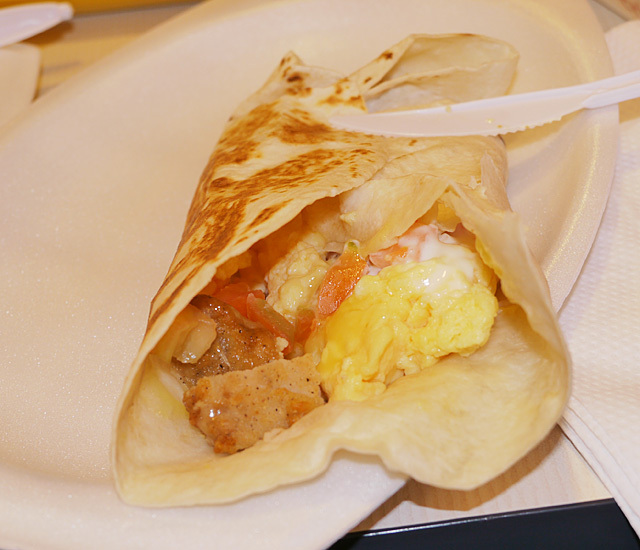 Comes with freshly brewed coffee or tea for only $5.30. 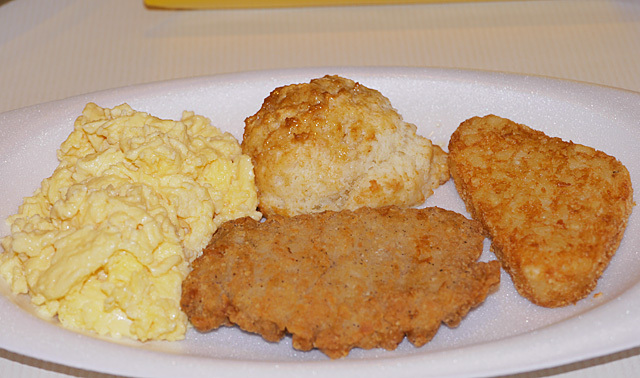 The second plate, also known as the a.m. Platter. 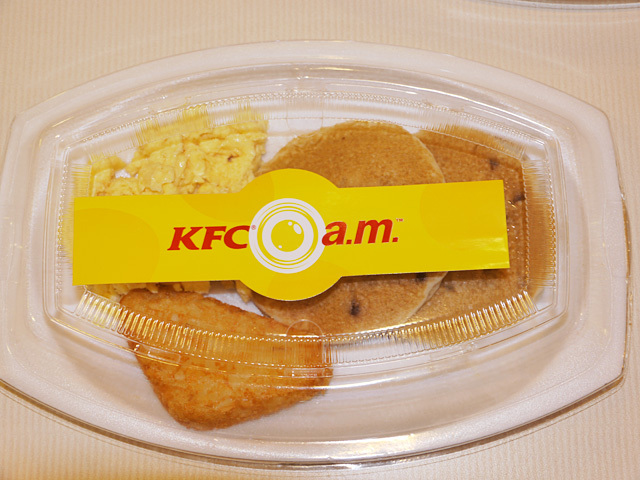 It's a hearty breakfast with the signature Original Recipe chicken fillet which everyone loves, scrambled eggs, a.m. Honey Biscuit and hash brown. OMG I AM SO IN LOVE WITH THE HONEY BISCUIT. It's this warm, soft little bun of love. Inside completely fluffy and melts in your mouth while the outside is a little crispy and DRIZZLED with HONEY!!! Seriously best biscuit I've ever had!! LOVE it. I had a second helping of it lol. NO! None for you Huiwen! 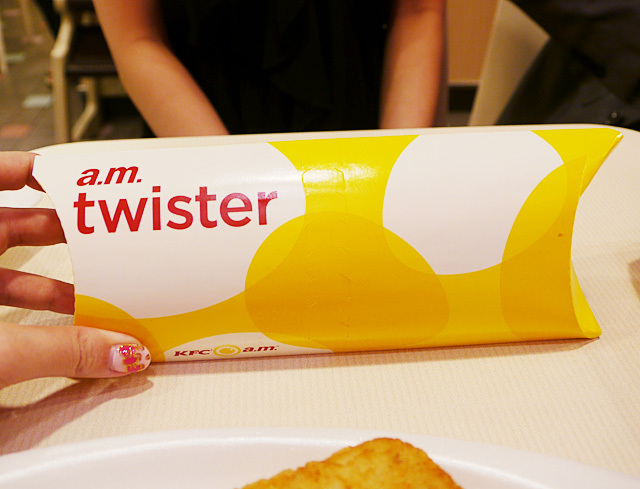 The inside is filled with Original Recipe chicken fillet, scrambled eggs, chopped tomatoes, cheddar cheese and mayonnaise. Comes piping hot and toasted. Totally delicious! 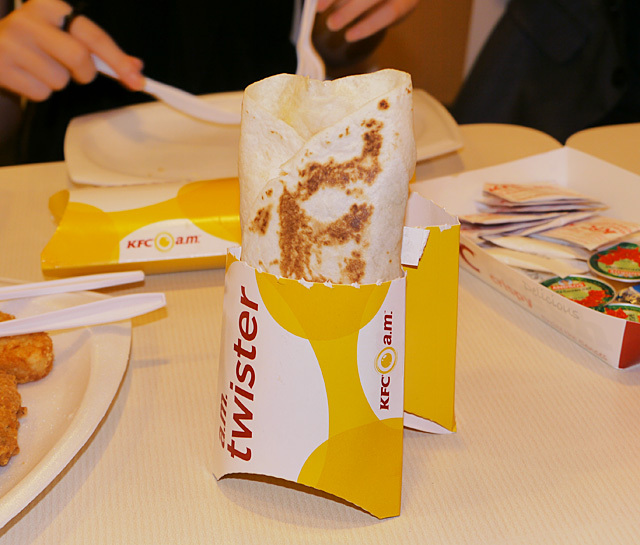 If you are lazy to eat with a plate and cutlery, this comes neatly wrapped up for you. Definitely comfort food!! 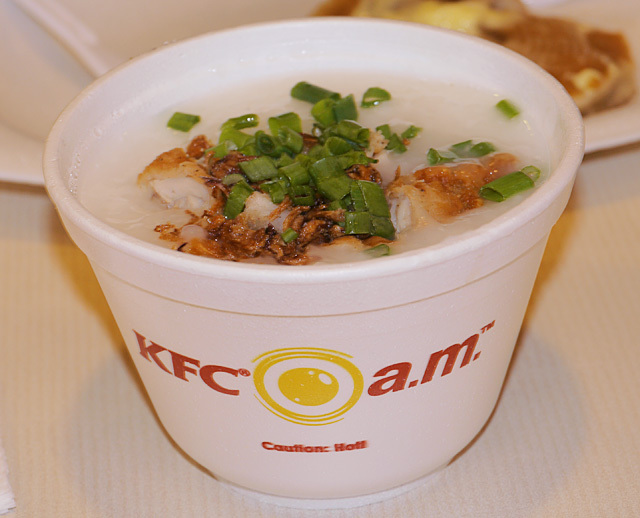 Chucks of Original Recipe chicken fillet in the porridge. Add pepper if you like the peppery taste! 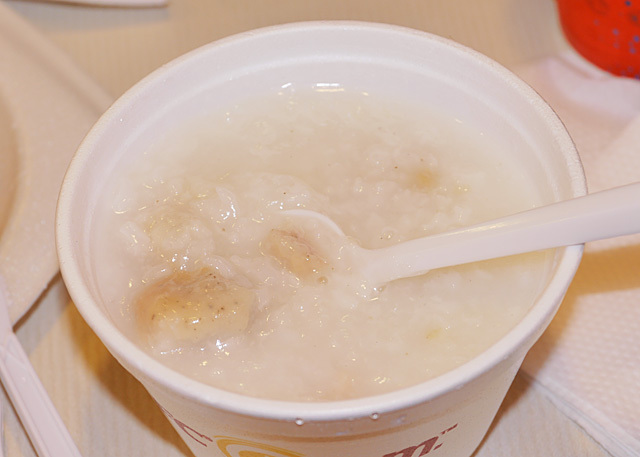 I love gooey sticky non-watery porridge. So smooth in your mouth. Ok that's it for the food pictures!! omg they are so puffy and cute and pretty!! 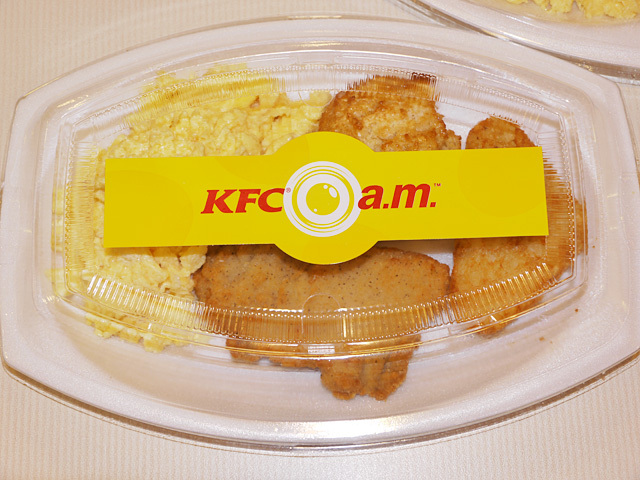 Thinking of trying out the all new KFC a.m. menu with your family or friends? 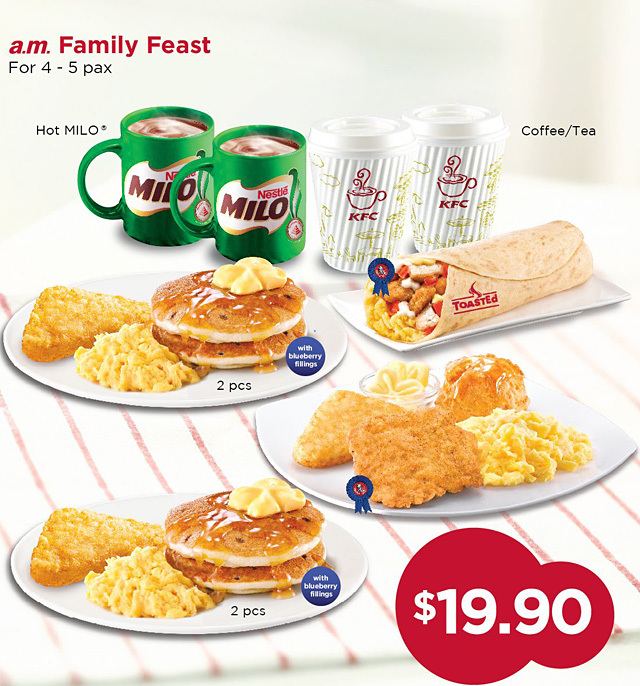 Get this set meal, super worth it! !